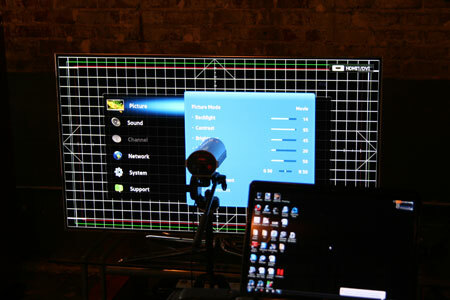 H7150 Calibration Notes: Calibration was very accurate and easy to aquire with the H7150 series LED TV. In fact, it is pretty close to the D6500 color temperature that our calibration shoots for. Be sure that you are changing the AutoMotion Plus feature settings depending on the programming you are watching. That is one of the most important things to keep in mind. With most programming you will want to turn it off or at least the De-judder portion. With 3D really does see a benefit from this, so you may want to leave it on. The Color Space needs no adjustments for a good calibration.